These danish pastries are a great thing to cook in a hurry (took me 42 minutes from start to finish) and use only ingredients you might have in your cupboard. (I have no idea what you keep in yours, that’s a private matter between you and your cupboards). 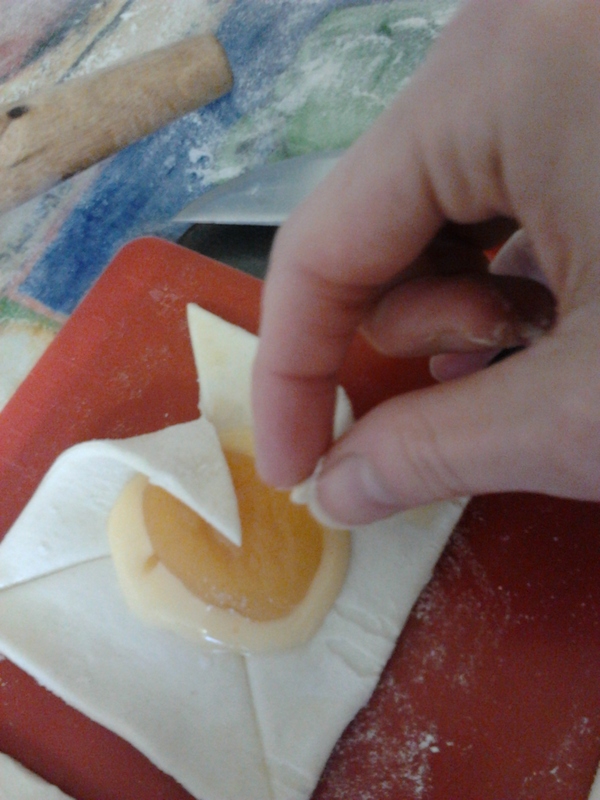 I used already rolled puff pastry by mistake but that’s not a problem – you just have to reassemble the offcuts to make more squares. I also used “breakfast apricots” which, it turns out, are dried and then soaked in apple juice (you mean the name didn’t make that clear? ), but they worked fine. 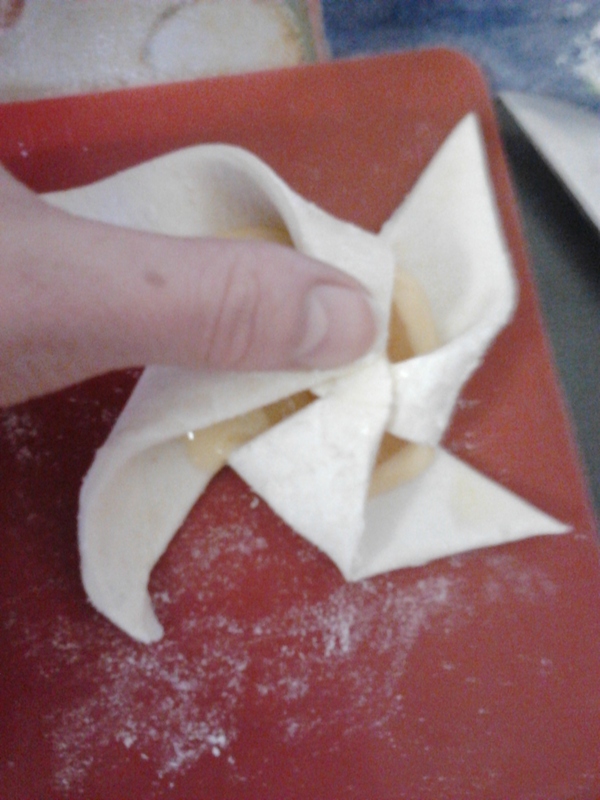 If you watched, Lorraine’s Last Minute Christmas, then these are very similar to the mince pie stars. I have a fan oven, which I know is a heinous crime in the cooking world. But I also have an electric hob, a microwave and a bread machine, so sue me. 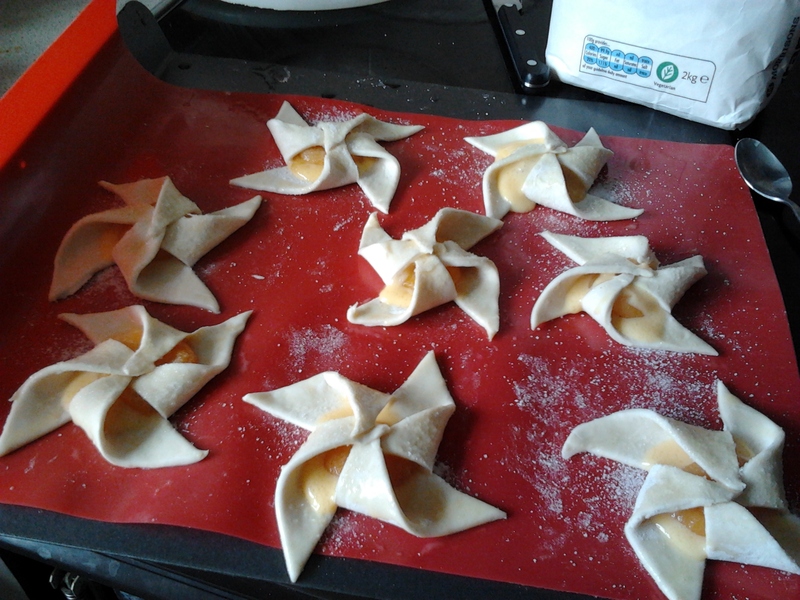 Anyway, I found they took about 12 minutes at 180′ in my oven. 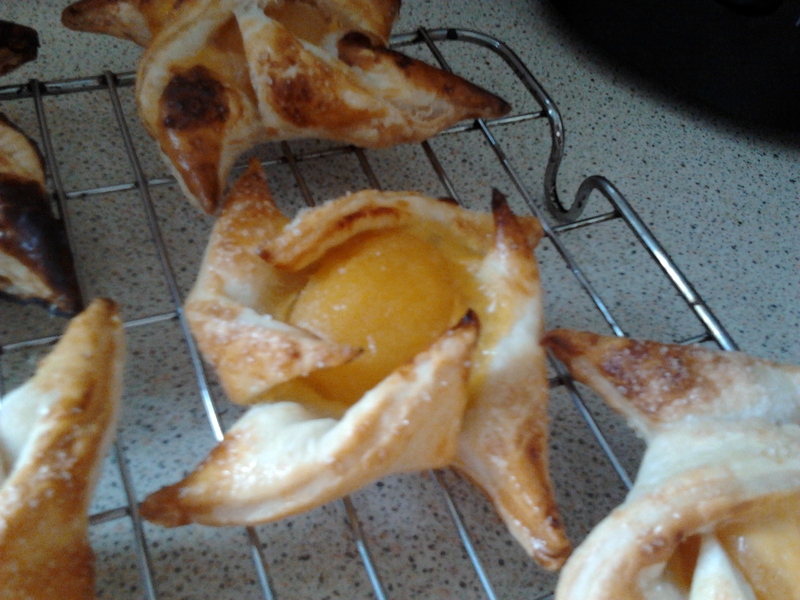 The second one looks a bit more “danish-y” and holds the custard marginally better. They are very small – but you could make them bigger and I think some toasted flaked almonds would be a good addition to larger ones. Very pretty. Well done. 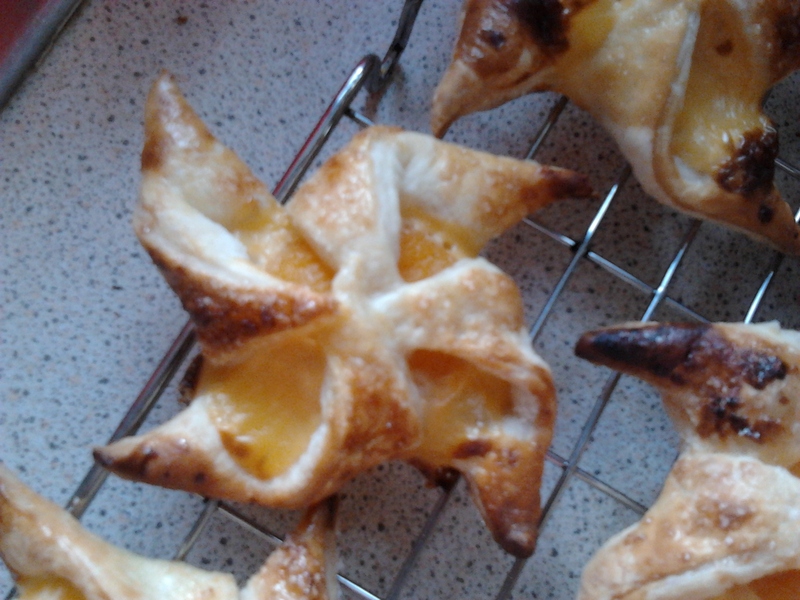 They look like a good quick thing to make if you have a lot of people popping round for a meeting, say! 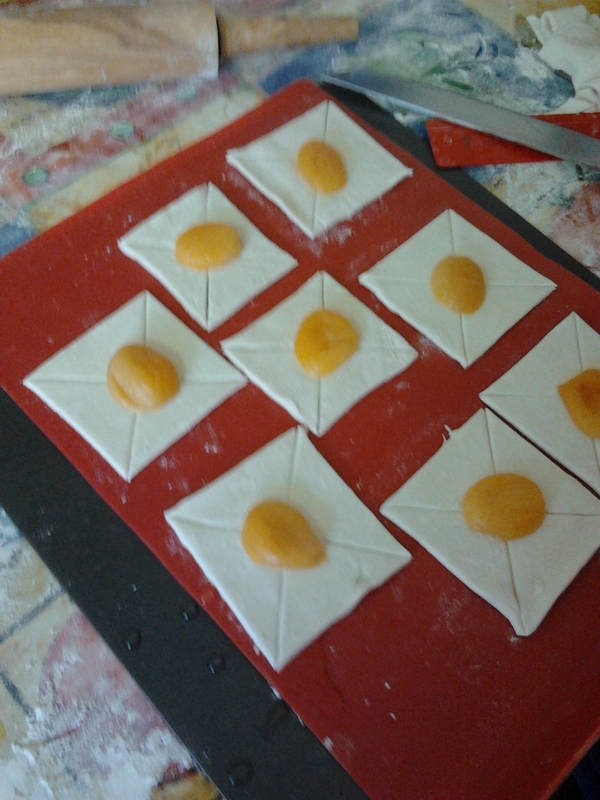 Yes, I like the second orientation the best as you can see the apricot, which looks nice. I might try these. Great minds think alike – I made them for church! Thank you for these, they were delicious and were just what the doctor ordered after a biblical theology lecture! You’re welcome! 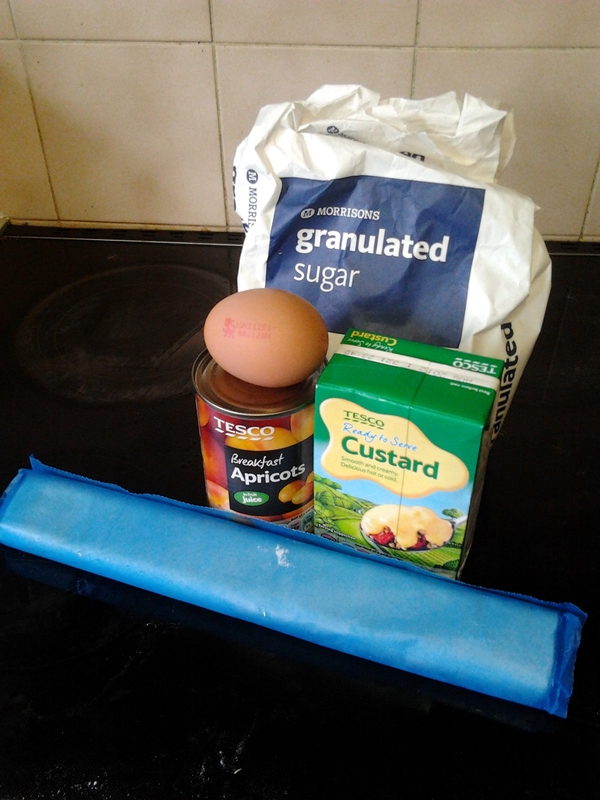 You’ll probably be getting the benefit of more baking soon!